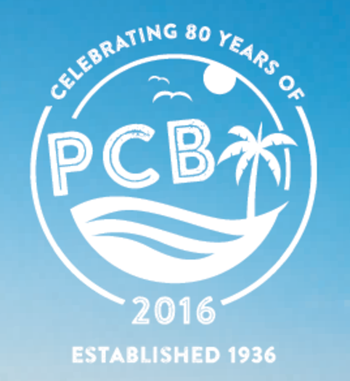 To celebrate 80 years of fun in the Florida sun, Panama City Beach will host an 80th birthday party on Monday, May 2. Visitors, tourism industry professionals, and locals alike are invited to join the free festivities taking place at the County Pier (MB Miller Pier, 12213 Front Beach Road) from 10AM – 3:00PM. commemorating Panama City Beach officially opening for business on May 2, 1936. Attendees are invited to come enjoy live music, beach games, a photo booth and a dance floor evoking memories of Panama City Beach’s famous “Hangout” beachside pavilion during the event. Food and drinks will be served from 11 a.m. to 1 p.m., with a commemorative birthday cake cut and served at 1 p.m.
On May 2, 1936, Gideon Thomas saw the beauty of Panama City Beach and had the foresight to establish a community based on tourism, rather than agriculture. Eighty years later, tourism contributes $1.5 Billion in direct spending to Panama City Beach’s economy, and the destination is thriving thanks to its world-class beaches, fun-filled attractions and year-round events that welcome guests from near and far.